Fortunately, similar to how we desire lives of resiliency – lives that can weather storms and re-group well after storms – there are things we can do to make our homes more resilient. 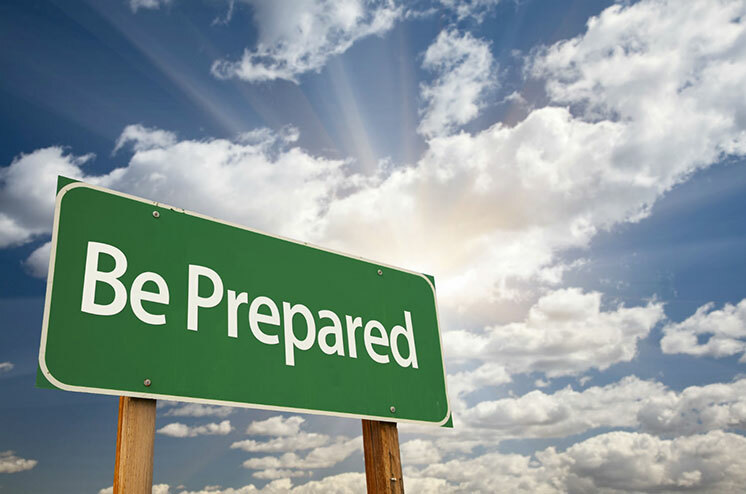 Let’s take a look at some of the things we can do to prepare our homes for uncertain times. It is the exterior of a home – also referred to as the “envelope” – that provides ultimate protection from weather extremes. Choosing the right materials for your home’s exterior is critical to its protection. It’s important to remember, though, that the materials used on the exterior of a home consist of more than just the outermost skin. Architects refer to the roofs and walls of homes as “systems,” pointing out that there is much more involved than just what you see on the outside. There can be protective radiant, vapor, and moisture barriers, insulation, drainage planes, and lumber; all hidden from the eye but critical to the home’s protection and performance. Standard components of these systems include house-wraps on walls and underlayments on roofs. The proper selection of these materials can add significantly to the healthiness and durability of a home. Great strides are being made with exterior membranes that are breathable as a way to prevent condensation from forming in a home’s roof and walls. Typical construction methods attempt to deal with temperature extremes, both hot and cold, through insulation. The desire is to maintain comfortable temperatures inside the home as economically as possible. While insulation provides thermal mass to prevent heat migration in or out of your home, building science is showing us other, sometimes better, ways to do this as well. Proper attic ventilation is a great way to exhaust summertime heat gain back to the outside before it reaches your home’s living space. Likewise, radiant barriers can be used to reflect away radiant heat. For a radiant barrier to be effective, it must face airspace and not be tightly sandwiched within a system of other materials. When it comes to roofing, there are metal roofs and asphalt shingle roofs available that incorporate special high-tech reflective pigments. While these pigments will not offer the same reflectivity as a white roof, they will provide greater reflectivity than standard dark colors. Another factor in a resilient home is having a backup heating method should your primary heat source fail in the winter. Keeping the house warm, of course, protects the occupants as well as the home’s plumbing. For information on backup heating options, we recommend this article on emergency heat sources from Off The Grid News. When it comes to protecting your home from water damage, there are two primary concerns – rain intrusion and flooding. Keeping water out during rain depends heavily on a secure and well-maintained roof system. That maintenance, on longer-term roofs, can require occasional replacement of sealants on the roof or replacement of exposed fasteners if present. 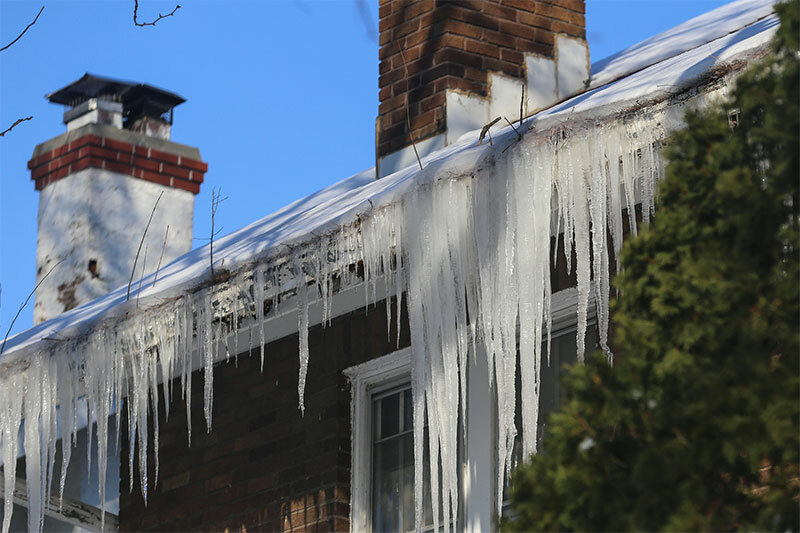 Whereas short-term roofs that last 15 years can have sealants that will last the same length of time, exposed sealants will not last the life of more permanent roof systems. Concealed sealants of quality chemistry, on the other hand, can easily last 75+ years. Seal foundation cracks and around basement windows and doors with a high-quality sealant or hydraulic cement; do not rely on traditional mortar for long-term sealant. Make sure that your home’s landscaping does not reach the top of the foundation. If you live in an area that is at risk for flooding, consider moving any electrical or HVAC components located in the basement or crawlspace up into the living space or attic. Those can be costly components to replace if damaged by water. Make sure that any fuel tanks in your basement are fully secured. If they start to float, they are likely to rupture. Install check valves on sewage and septic lines to prevent back-flow. If you have a sump pump, install a battery back-up. Often power is lost during floods. Consider additional trenching or French drains to direct water to the pump. Ensure that gutters and downspouts are flowing properly and carrying water away from your home. For additional flood prevention ideas, read 20 Ways To Protect Your Home From Water and Flood Damage. There are many things to think about when it comes to making your home wind resistant. The Fortified Home Program provides some great insight. A roof system that features interlocking panels rather than depending upon weight and gravity or failure-prone sealants. Even the heaviest tile roofs quickly become dangerous flying projectiles in hurricane-force winds. If you have things in your yard that could become airborne and blow against your home or its roof, be sure to secure them or move them inside. Likewise, be sure to cut back any trees or branches that are close to your home. These things can cause small damage to your home that becomes significant damage when exposed to punishing winds. Ensure that your home’s attic, if vented, has a proper balance between intake and exhaust vents. If the balance is not correct, damage to your ceilings or roof can result from over-pressurization. Another risk is that exhaust vents can begin to act as intake vents, drawing water into the attic space. Many of our products are tested to withstand up to 120 mph winds. If you live in a hurricane-prone, windy area, this article can give you more information on wind resiliency. We have all seen the news stories of devastating wildfires. Entire neighborhoods destroyed. Lives disrupted. Treasures and memories lost. 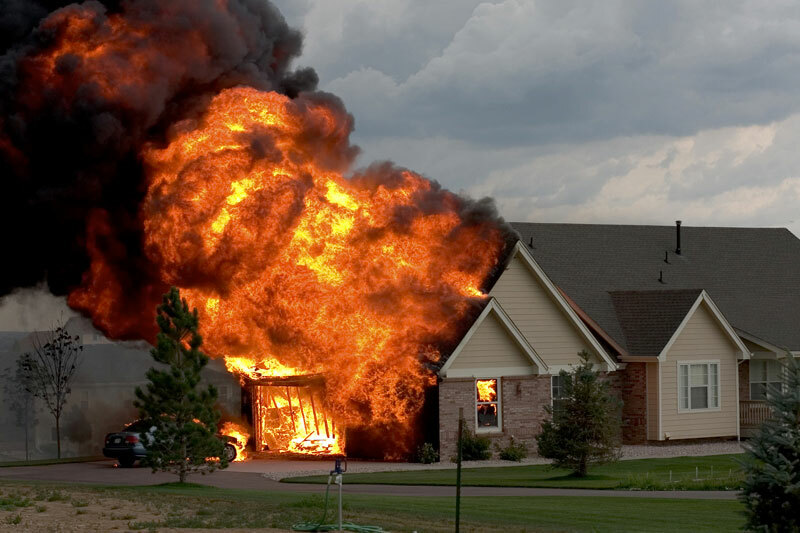 In some cases, we’ve seen fires in areas where the residents never even suspect that such a thing could happen to them. Separating your home from any dried shrubs or other fire-prone items is wise. Vulcan soffit vents offer the unique benefit of closing down in high temperatures to help prevent drawing embers into your attic. While tile roofs offer good protection from external fires, their heavyweight poses a significant threat of cave-in in the event of an interior fire. Lower weight roofing materials such as metal can still allow firefighters to enter a building and attempt to save lives and extinguish flames. A reliable resource for information on fireproofing your home is the Ready For Wildfire website. The ultimate in home resilience would include being able to raise your food and have your own water source. For many of us, those ideas seem unrealistic, and we resort to maintaining a few supplies to carry us through perhaps a few days without heat or water. Generally, with our country’s infrastructure and disaster preparedness, that is plenty. If you do wish to collect rainwater, many experts recommend PVDF-coated metal roofs as being the best source for clean water collection. While there are enough unknown factors to any water collection that we are not comfortable recommending such water for drinking, it certainly would work well in the event of extreme emergency. If you are concerned about having greater ability to survive prolonged periods of utility or food supply disruption, we suggest reading Resilient By Design. California recently took strides toward requiring solar panels for all newly constructed homes. This requirement seems to be the future, and despite talk of integrated solar and “solar shingles,” traditional photovoltaic panels offer the most cost-effective power collection. Photovoltaic panels also provide the highest degree of options for future serviceability and upgrades with technology advancements. Our article on Energy and Roofing explains several options as well as why we, as a member of the roofing industry, believe that we are also part of the energy industry. Personal resilience; the ability to overcome and even thrive despite life’s circumstances, is a trait to be admired. With a little extra effort and following the above ideas, you can make your home just as resilient as you are. Please contact us whenever we can be of help adding resilience to your life. We’re happy to discuss any concerns with you and, of course, we always love to talk about metal roofing. Feel free to explore our website, call us at 1-800-543-8938, or email us at info@isaiahindustries.com whenever we can be of help. Customer Satisfaction We achieve growth through quality products, personable needs-driven service, and willingness to always go the extra mile. It's coming. Now is the time to plan for hurricanes and other wind storms. or at your neighbor's house.